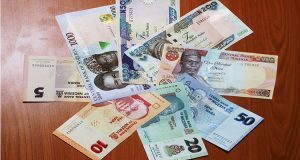 This post seeks to enlighten the reader on how the Nigerian currency, which is the Nigerian Naira came to become the legal tender in use in present day Nigeria. Between 1912 and 1959, the West African Currency Board was responsible for issuing currency notes in Nigeria. Before the establishment of the West African Currency Board, Nigeria had used various forms of money, chief of them being the cowries. The Central Bank of Nigeria, on July 1, 1959 issued the Nigerian currency notes and coins and the West African Currency Board notes and coins were withdrawn. It was not until July 1, 1962 that legal tender status was changed to reflect the country’s new status. The notes were again changed in 1968 as a war strategy following the misuse of the country’s currency notes. On March 31, 1971, the Federal Military Government announced that Nigeria would change to decimal currency as from January 1, 1973. The major currency unit would be called Naira which would be equivalent to ten shillings: the minor unit would be called kobo; 100 kobo of which would make one Naira. The decision to change to decimal currency followed the recommendations of the Decimal Currency Committee set up in 1962 which submitted its report in 1964. The change that took place in January, 1973 was a major one and this involved both currency notes and coins. The major unit of currency which used to be £1 ceased to exist and the one Naira which was equivalent to 10 shillings became the major unit. 1. The N20 (Twenty Naira) banknote was the highest denomination to be introduced then, and its issue became necessary as a result of the growth of incomes in the country; the preference for cash transactions and the need for convenience. 2. The N20 (Twenty Naira) banknote became the first currency note in Nigeria bearing the Portrait of a Nigerian citizen, in this case, the late Head of State, General Murtala Ramat Muhammed (1938-1976) who was the torch bearer of the Nigerian Revolution July, 1975. He was declared a national hero on October 1, 1978. The note was issued on the 1st Anniversary of his assassination as a fitting tribute to an illustrious son of Nigeria. On July 2, 1979, new currency notes of three denominations, namely, ( N1), (N5), and (N10) were introduced. These notes were of the same size, that is, 151 x 78 mm as the N20 note issued on the February 11, 1977. In order to facilitate identification, distinctive colors which were similar to those of the current banknotes of the various denominations were used. The notes bore the portraits of three eminent Nigerians who were declared national heroes on the 1st of October, 1978. The engravings at the back of the notes reflected the cultural aspects of the country. In 1991, both the 50kobo and N1 Notes were coined. In response to expansion in economic activities and to facilitate an efficient payments system, the N100, N200, N500, N1000 were introduced in December 1999, November 2000, April 2001 and October, 2005 respectively. On February 28, 2007, as part of the economic reforms, N50, N20, N10, and N5 banknotes as well as N1 and 50K coins were reissued with new designs, while a new N2 coin was introduced. The coins however are gradually fading away but they still remain valid legal tender in Nigeria, no matter how few and scarce they are. ifeanachor blessing Ngozi /2015054036(82) it is development.